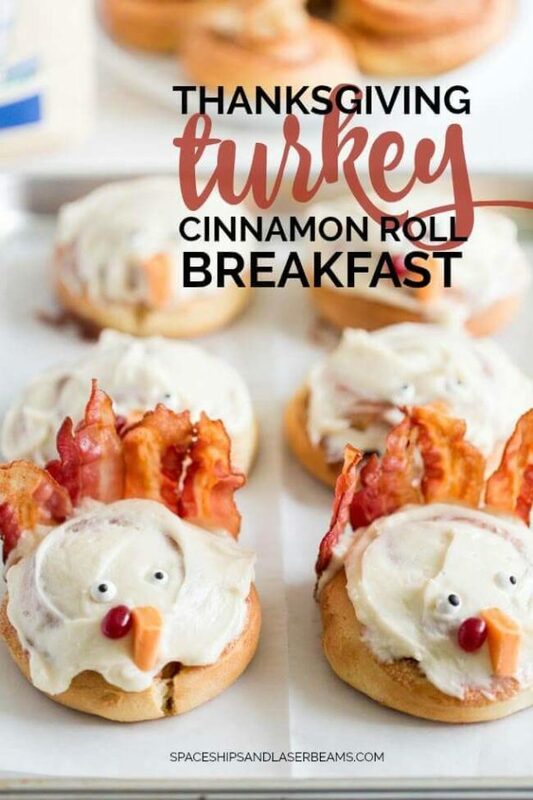 Invite a turkey to breakfast—a Cinnamon Roll Turkey! Have any little gobblers at your house? 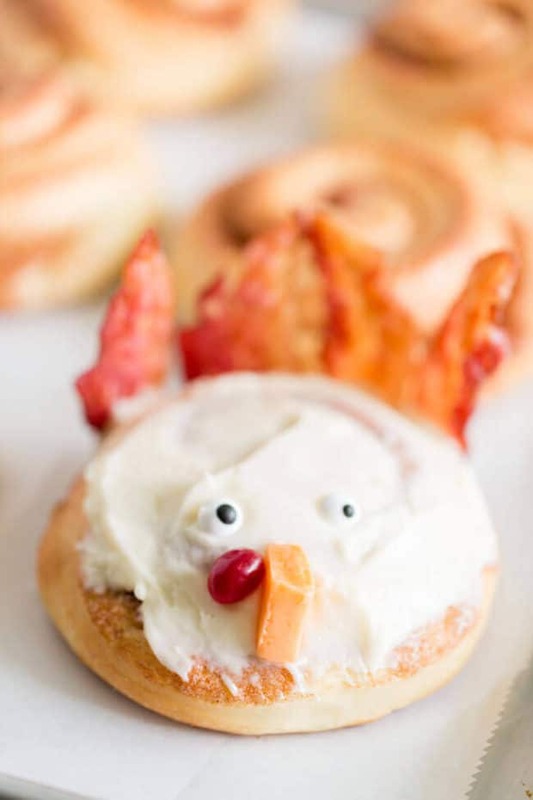 They’ll love these droll Cinnamon Roll Turkeys for Thanksgiving breakfast—and so will you. Because…homemade cinnamon rolls! Bacon! The sweet-salty combination is irresistible. And the silly turkey features are just plain fun. Thanks for the sweet spots Imperial Sugar and thanks for sponsoring this post. Even though I love creating all sorts of dishes in the kitchen year-round, I especially enjoy baking. Everyone is so excited to taste what you’ve made! And if you want to deliver real flavor, holiday baking is no time to skimp on quality ingredients. With fine sugar, real butter, fresh eggs, and yeasty dough, these cinnamon rolls are packed with flavor worth savoring. 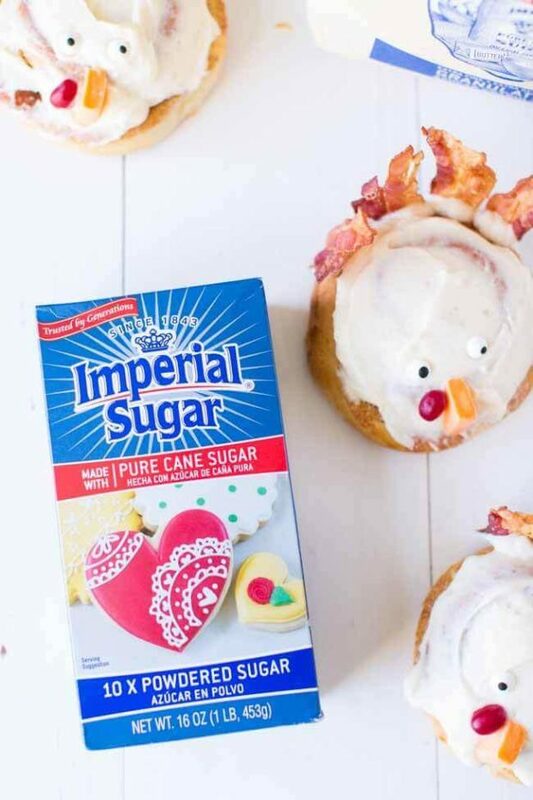 I choose Imperial Sugar because they offer solutions from full to reduced calorie sweeteners that are perfect for holiday and everyday baking. 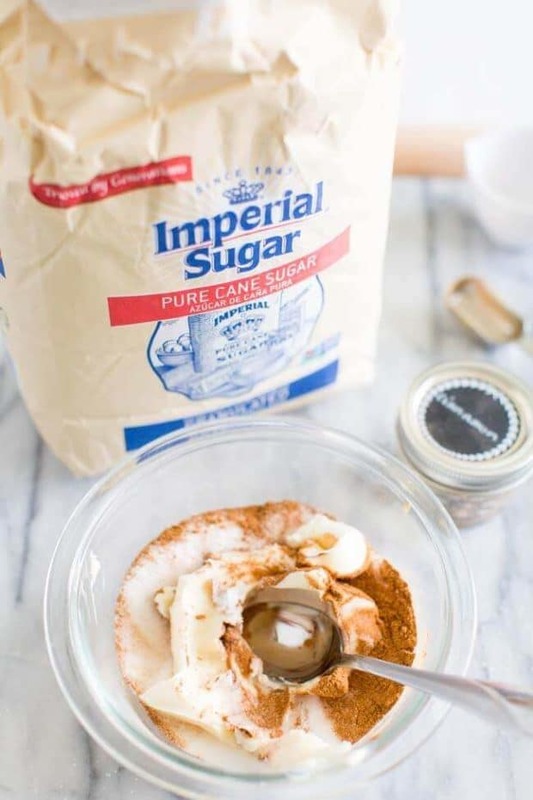 Headquartered in Sugar Land, Texas, Imperial Sugar has been adding sweetness to life since 1843—they know their business! Sugar Land—doesn’t that conjure up glorious sweet tooth fantasies like Sugar Plum fairies and cinnamon roll turkeys?! 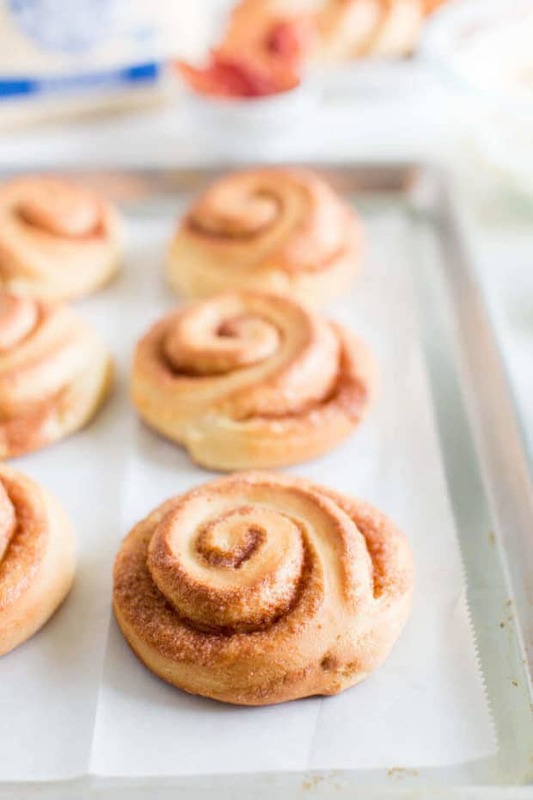 I think the heavenly aroma of cinnamon rolls baking would be perfect for waking up the family on Thanksgiving, but I bet you won’t want to wait to take a bite of this homemade goodness. Make some next weekend and give everyone an extra something to be grateful about. I made these with my stand mixer but if you prefer to use a bread machine check out the Imperial Sugar recipe for directions. 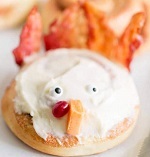 However you go at it, these Cinnamon Roll Turkeys will be gobbled up in no time! These darling turkeys are the perfect Thanksgiving treat! In a stand mixer, pour warm milk, sugar, yeast; stir. Once the yeast has activated and becomes bubbly, add flour, butter, eggs, salt. Turn mixer on low until incorporated and smooth. Cover; let set for an hour. Once dough has doubled in size, turn out onto a floured surface and roll out into a rectangle. 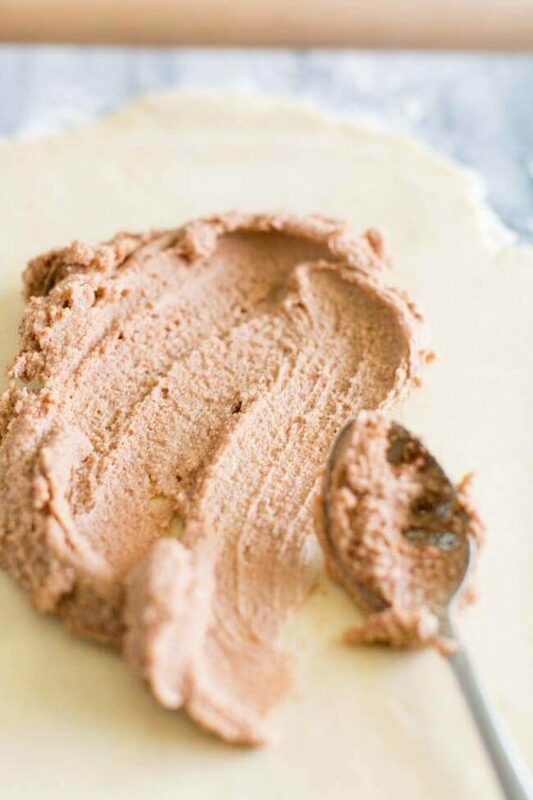 In a small bowl, mix butter, sugar, and cinnamon for the filling. Evenly spread onto the dough and roll into a log. Cut the ends off and cut into even 1.5 inches slices, about 12. Place on a baking sheet lined with parchment paper and cover. Let rise for 20-25 minutes. Bake at 350 for 15 minutes until golden brown. While the rolls are cooling, mix the frosting. 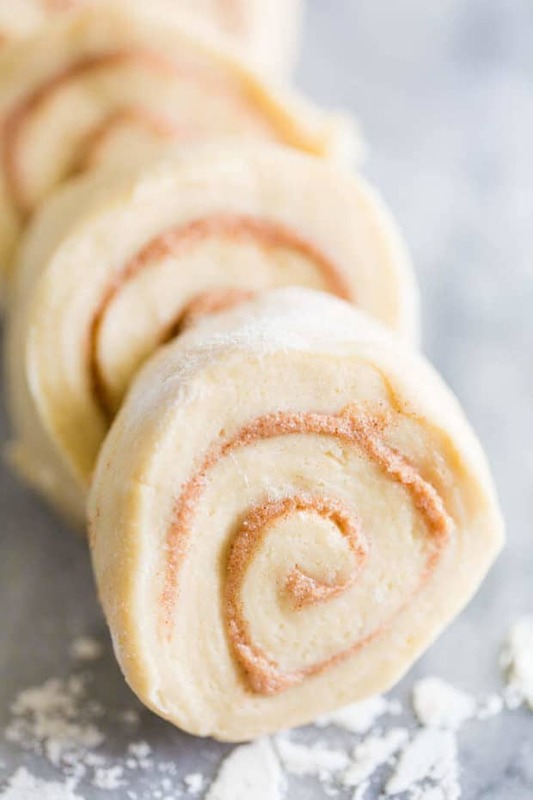 When rolls have cooled, frost each cinnamon roll. Cut each piece of bacon in half. 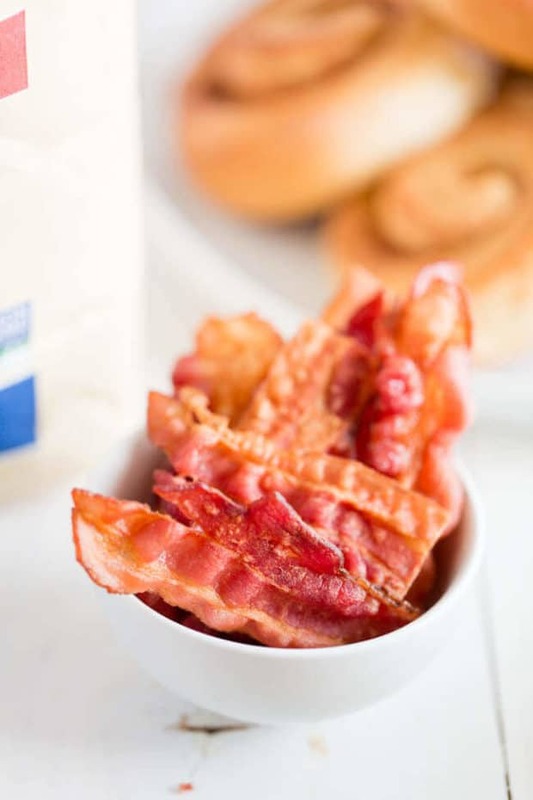 Use some of the frosting to act as a glue and stick the bacon on the side of the roll. 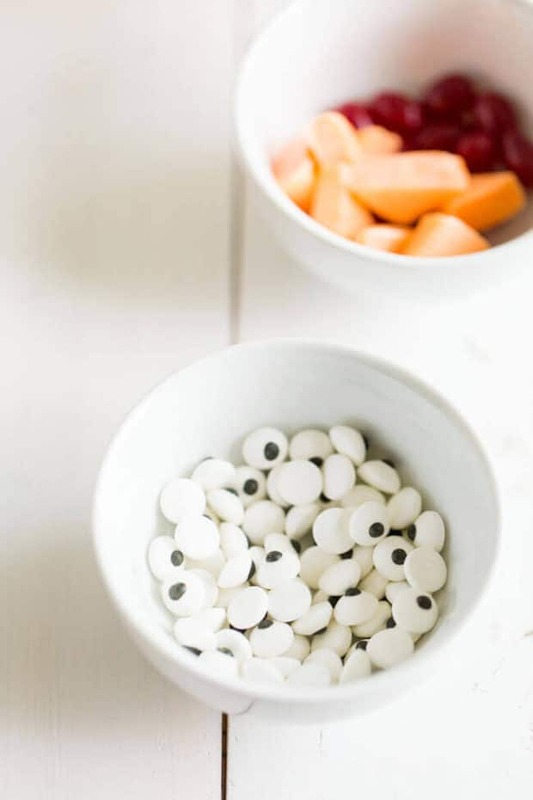 Add the eyes, orange fruit chews and red jelly beans. ohhh I love cinnamon, perfect for everyday baking!